As tap dancing has become popular, tap dancing shoes have had to be rethought and reworked many times. With mens tap shoes, boys tap shoes, girls tap shoes, tap shoes for toddlers, and even tap shoes for adults available, it can be difficult to know where to start. Tap dancing comes from the time of slavery. Enslaved African Americans used the wooden decks of the boats that brought them into the USA and other parts of the world as their stage. The tapping of the tap dance, however, was used to communicate silently. “Master Juba“. Licensed under Public Domain via Wikimedia Commons.As time went on, Thomas D. Rice (known as “Daddy” Rice) began to preform tap dances for others starting as early as 1828. The first African American to perform tap dance and be recognized for it was William Henry Lane, known as Master Juba to the tap dance world. Though he didn’t live long (he died at 27), he managed to influence the rest of tap’s history. More innovations came as Bill Robinson, King Rastus Brown, and John William “Bubbles” Sublett danced onto and out of the scene. Robinson used the balls of his feet to dance. Brown incorporated the cane and mastered improvised dance. By the time Sublett was headlining, thin metal plates (called taps) were being added to leather shoes. These eventually replaced the wooden soles and heels that tap shoes had been fitted with for years previous. Sublett also introduced the heel and toe style that is more popular today. Tap dance shoes have been designed to replicate the sounds of the first tap shoes: bare, calloused feet. This started with wooden soles and heels, as mentioned above. As the dance style became more popular through the Great Depression and the forties and fifties, the taps had to evolve as the demand changed. The taps on the bottom soon became thin metal sheets, as noted above. Taps evolved to be thicker as the demand changed to a louder, bolder sound. When picking a pair of tap shoes, it is important to keep in mind what style of tap will be done and what is considered comfortable. A quick guide to what to look for in each area of the shoe follows. The heel is responsible for creating part of the tone. While plastic is a good idea for beginners who aren’t too sure if they want to continue or for any beginner, the taps have a very bad sound quality. Thin heels also produce a weaker sound. For more experienced tap dancers or those who know they will continue to tap, leather heels and metal taps produce deeper, louder beats. How the material is cut is another important thing to investigate. While more stitching means a sturdier shoe, less stitching offers flexibility. The way the material is cut also affects how comfortable the shoe will be for a person with shorter, fatter feet versus longer, narrower feet and anywhere in between. The toe box (or where your toes go) can also determine how comfortable the shoe is. 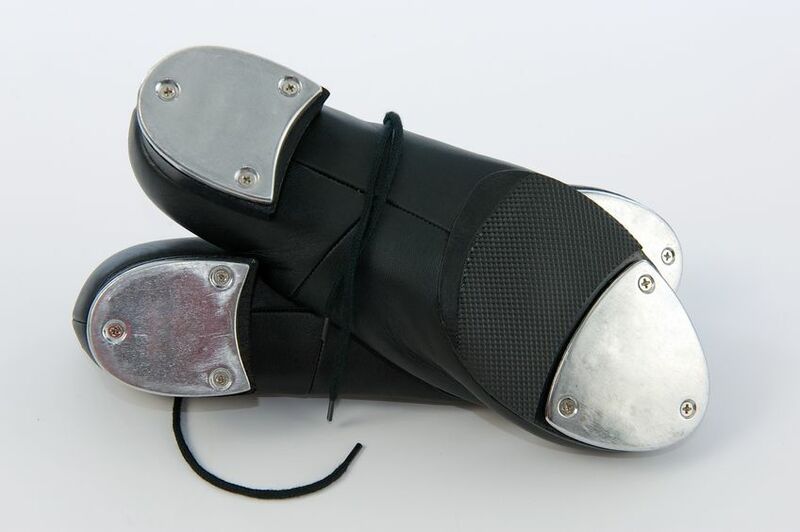 A reinforced or stronger toe box is useful when a tap dancer does more with their toes. However, this means there is less flexibility and space for the toes and could mean cramped toes. If that is not comfortable for someone, a softer leather toe box might be the right option. The topline, or the top edge of the back and sides of the shoe, are also something to consider. A higher topline offers stability for the ankle, while lower a topline offers flexibility. Padding to prevent chaffing can be added. Notches for extra room for the Achilles tendon can be added as well. However, dancers should be considerate of what they need in everyday footwear. While budget-friendly toddler tap shoes and beginner shoes are found in common, everyday shoe stores, there are more expensive brands. Miller and Ben tap shoes, Capezio tap shoes, and Bloch tap shoes are just a few of the more expensive brands. Miller and Ben tap offers fifty-one different style and color combinations. The company also offers orthotic enabled options for those that need the extra support that orthotics present. A few of the colors available are blue, yellow, and pink. There are colors that are a little showier, such as silver and gold. This company offers interesting combinations and would be good to intrigue young dancers with by offering to upgrade their kids tap shoes when they are older. Capezio offers more subdued colors that allow the show to focus more on the sound. Black, brown, and white are the only color options. The prices range from a few dollars to just shy of one hundred dollars. However, there are also three heel heights available: one inch, one and a half inches, and two and a half inches high. Many of the styles are leather. This is a good company to go to for tap shoes for girls, beginners, and tap shoes for toddlers. Bloch tap shoes take the colors even simpler: black and white. With styles ranging from jazz tap to flex tap, the brand offers shoes from ten dollars to one hundred eighty-five dollars. Most of the shoes lace up and they offer a few heel heights. 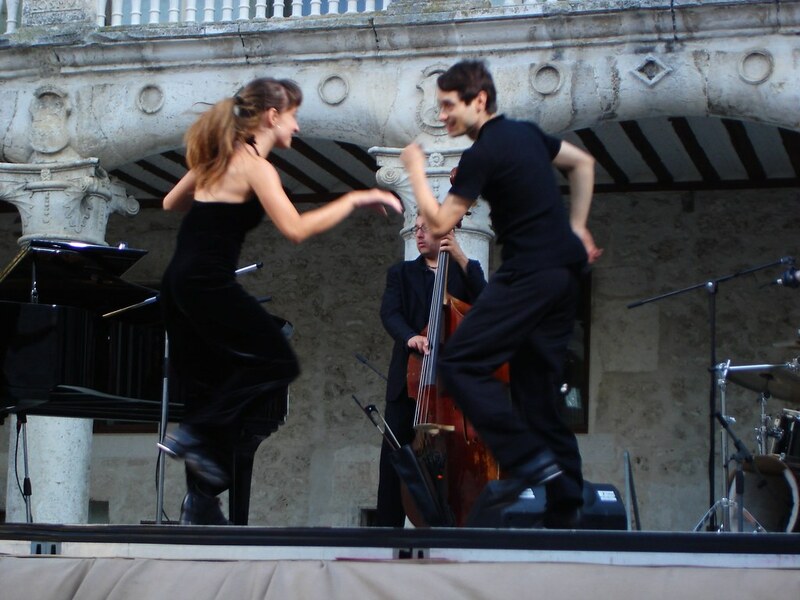 No matter what the experience of the dancer, tap shoes can make or break the experience.